Mineral details: Paramorphoses of quartz upon lechatelierite has specific ball, or microperlite texture, that formed during the transformation of lechatelierite at first into high crystoballite, then into low crystoballite and finally into quartz. Polimorphic transformation high - low crystoballite is accompanied by a decrease of volume on 7%, that courses microperlilte cracking (Carstens, 1975). Crystoballite was reconized in 6 samples of quartz on X-ray diffraction’s (on typical reflections, that are absence in quartz and 2,841) and in YR-spectrums (on absorbtion lines of 1200 and 620 cm). 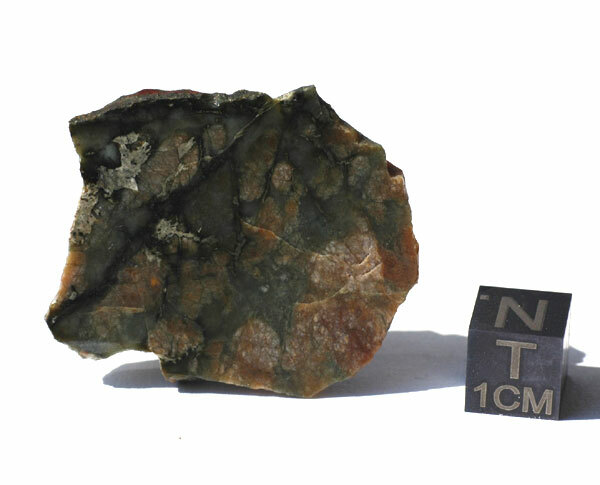 The presence of paramorphoses on lechatelierite showed, that the temperature of melting, was more than 1700°C. The crystallization occured do to very quick cooling of the melt. So far it had the very high temperature for extrusive rocks, and solidified practically at Earth’s crust conditions.